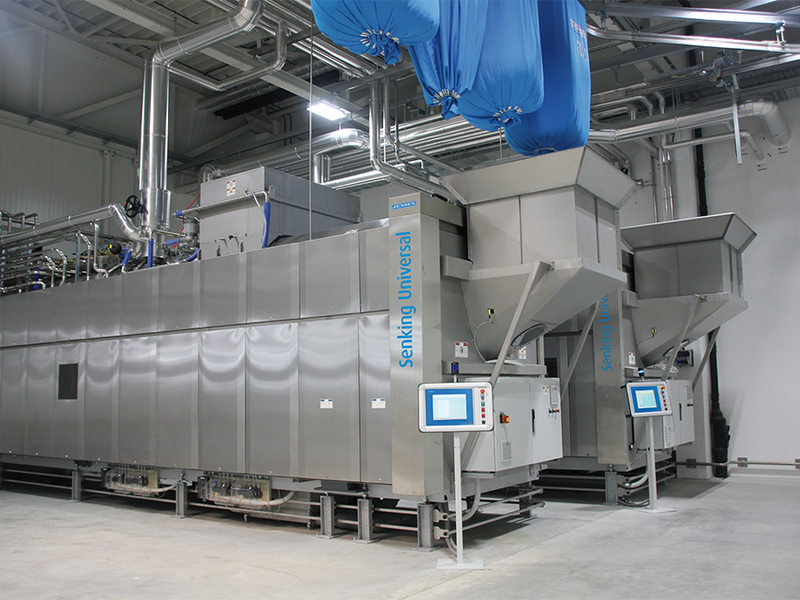 The JENSEN Senking Universal adapts perfectly to the processing of mats with its open drum geometry with eccentric Archimedian helix for a safe and quick batch transport from one compartment to the other and its brilliant wash mechanics. The drum geometry and the design of the reclaim tanks are adjusted to the high polluting load and prevent an additional sedimentation of solids in the mats (sand, chips, etc.). As there are no rough edges, there is an immense high self-cleaning effect which saves time and money. The drain valves with fast clamping closures contribute as well to low maintenance and cleaning purposes, their wide and free pipe diameter avoid the sticking of lint, hair, etc. as the soiled liquor is drained very quickly.